The apartment 'Ariondaz 111' has three spacious bedrooms and is located iourchevel Moriond on the ground floor of the building The Fougères in the residence of the Ariondaz. The space is very functional, the rooms are generous and the volume impression is accentuated by the beautiful open newly renovated kitchen . 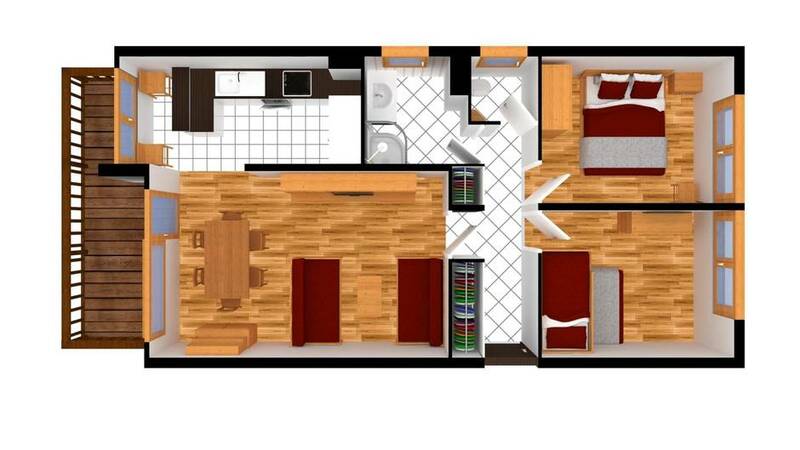 The apartment 'Ariondaz 111' is the promise of good moments of sharing and conviviality to its six occupants. It is very nice for a family with children. The TV can only be used for DVDs. 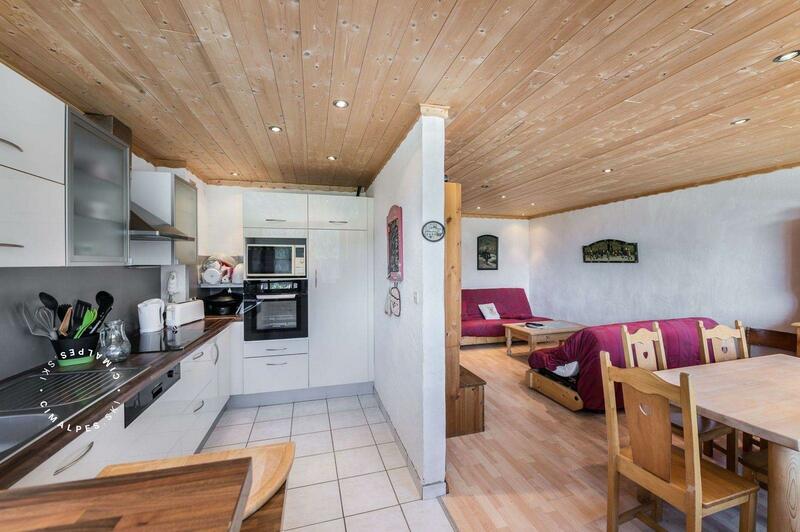 Nice apartment located next to the slopes, shops and restaurants. 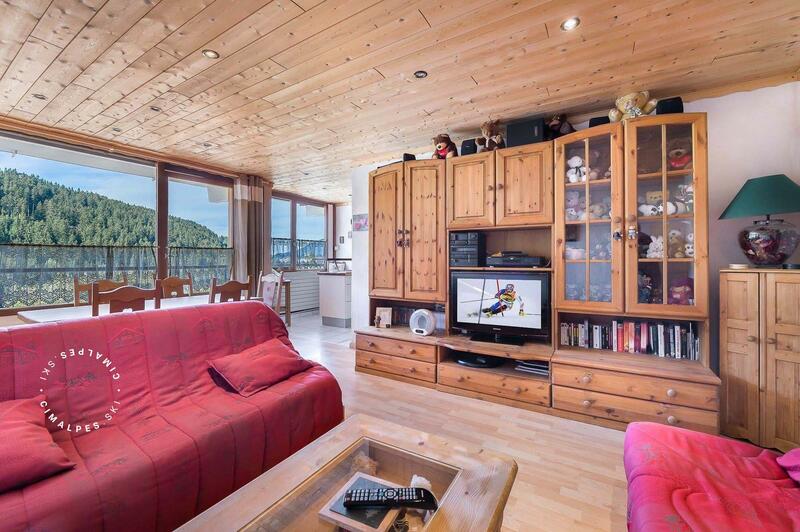 Functional and benefiting from great views on the valley, this apartment is perfect for a family ski holiday.